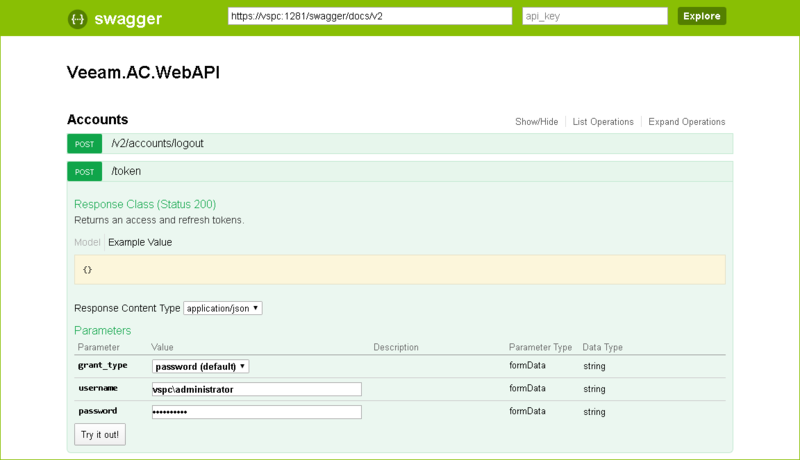 On the Veeam.Portal.WebAPI page, expand the Accounts resource and click POST /token. In the grant_type drop-down list, make sure that password (default) is selected. 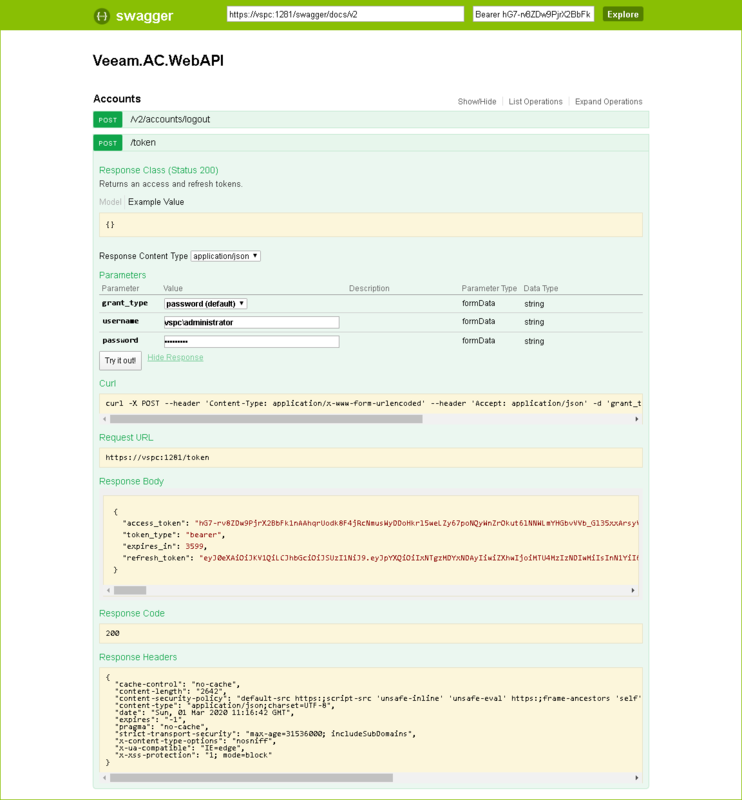 In the username and password fields, specify the credentials of a user with the Veeam Availability Console Portal Administrator privileges. Wait for the response from the server. A successfully completed operation returns the 200 Success response code and an access and a refresh token in the response body. Save the refresh token locally for further use. Make sure that the access key is automatically inserted in the api_key field at the top of the page. To validate the access token, click Explore. From the grant_type drop-down list, select refresh_token. In the refresh_token field, insert the refresh token saved locally. Wait for the response from the server. A successfully completed operation returns the 200 Success response code and a new pair of tokens in the response body. 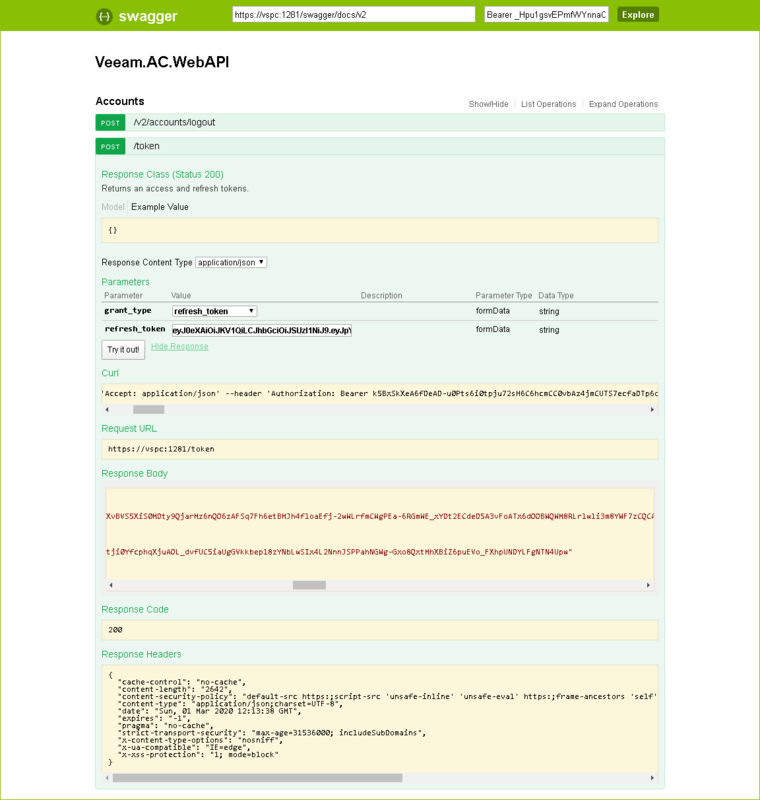 On the Veeam.Portal.WebAPI page, expand the Accounts resource and click POST /accounts/logout. Wait for the response from the server. A successfully completed operation returns the 200 Success response code and the “You have been logged out.” message in the response body.